When the English family property was wrongly put into the court process by his lender, Mr. English reached out to another lender in Toronto who was prepared to back him so he could open a campground on the other half of the Resort on the east side of the highway across from the Pacific Rim Resort. They offered to loan enough to repay the mortgage on the Resort property and thereby stop the court process because the east side had no debt on it and was clear title. The original owners had previously put in 600 or so campsites on the east side of the highway and they were ready to use those sites for commercial purposes after some sprucing up and some road and bridge upgrading. Everything looked ready to go when, all of a sudden and on August 10 , 2010, without any advance notice, a local work crew from BC Hydo showed up with a big industrial backhoe and illegally smashed down the English’s two locked gates to the property, in spite of the big red “No Trespassing” signs, and basically did a “home invasion” of their property as Hydro has no easement or legal right to come onto that property. They drove the big industrial backhoe out onto the access bridge, which was an old logging bridge designed to handle smaller vehicles, and sure enough, they collapsed the bridge and the bridge and machine fell into the creek and tidal estuary as one might have expected. Mr. English was told that BC Hydro did this deliberately and the manner in which BC Hydro acted both during the attack on the property and afterwards confirms that BC Hydro was a willing participant in the criminal conspiracy against the English family. He was also told that BC Hydro also illegally failed to notify the Federal Fisheries, BC Environment Ministry, and Worksafe BC, as this was a “near miss” accident involving a salmon and herring spawning stream. The photo shows the location in the stream, at low tide, where the bridge was after Mr. English cleaned up the site on orders from the Federal Fisheries and BC Environment Ministry. At high tide, the water level goes up to the level of the grass. If average people did this they are arrested and go to jail, Hydro just brought in a big excavator and pulled the backhoe out of the creek and drove away. As fate would have it, Mr. English and his son drove up and found BC Hydro and its employees on the property just after BC Hydro broke the bridge. Mr. English asked BC Hydro’s Foreman, Jack Ball, what they were going to do to fix all the damage they had done. Mr. English took him at his word. But BC Hydro did not act with integrity. Editors Note: At this time the Editors think it unlikely that BC Hydro planned to break the bridge but it is clear they were on some kind of improper mission. A likely scenario is that BC Hydro employees were ordered by agents of BCIMC to disconnect the hydro lines and remove some of the hydro existing poles that serviced the campground that Mr. English intended to open on the piece of property not subject to the mortgage. This would effectively prevent the English family from opening the campground. Mr. English reports that when he showed up at the site that morning BC Hydro had already taken down the lines at the front of the property which is consistent with this theory. The breaking of the bridge was an probably accident which would put BC Hydro in the same position as a group of bank robbers who kill someone when their gun goes off in the bank they are robbing by accident. "Gee whizzers, yar honour we didn't intend to kill anyone, we was only robbin da bank". 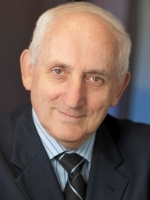 Coincidentally, one of BC Hydro’s Board of Directors at the time, August 2010, was the President of CAI Private Equity Partners in Vancouver (The same company that made millions forcing dangerous smart meters on the population of British Columbia.). Tracey McVicar was also sitting, at the same time, on the Board of Directors of BCIMC that desperately wanted the resort property so the instructions may have come from Tracey who is shown in the photo on the far left. The financiers in Toronto pulled out saying they would any money until the bridge was repaired because they needed to know that Mr. English was in a position to service the debt and without access he could not do that. According to Mr. English, initially, BC Hydro "acted like good guys" and said they would repair the bridge but, then, in the Editors opinion, they engaged in a devious "bait and switch strategy" that was cleverly designed to ruin Mr. English by attempting to drive him into bankruptcy. This was not acting with integrity like their Code of Conduct says. BC Hydro’s Vice President, David Lebeter, (shown in photo next to Tracey), told Mr. English that they wanted to hire him to be the general contractor and project manager to replace the bridge. Lebeter said he wanted English to gravel and build the bridge approaches, design and engineer a fully approved bridge plan and a budget to complete the construction of the new bridge. So Mr. English hired engineers, surveyors, contractors, environmental consultants, and ordered drawings and got the plans, approaches, and budget for the new bridge put together and approved by the various agencies. He also removed the debris of the old bridge from the creek on orders from DFO because they said that it was polluting a fish habitat as a result of the destruction of the bridge by BC Hydro as Hydro did nothing to mitigate all the damage they had caused. BC Hydro Code of Conduct states "We act with integrity". The location on the creek where the bridge had been before it was destroyed by BC Hydro is shown in the photo. At high tide, the level of the estuary and the creek which is about 80 feet across is full of water up to 10 feet deep. When Mr. English asked for payment, BC Hydro refused. But, the BC Hydro Code of Conduct states "We act with integrity"
Mr. English had some discussions with BC Hydro CEO Dan Doyle (shown in photo next to David) but he obviously got cover up instructions from BCIMC because he was transferred to Premier Christy Clark's office where he became Chief of Staff and Charles Reid (shown in photo next to Dan) was moved in to replace him and continue the cover up and stonewalling of Mr. English. Since 2011 Mr.English has asked for payment for expenses incurred at the request of BC Hydro and for BC Hydro to replace the bridge destroyed by BC Hydro employees. But, the BC Hydro Code of Conduct continues to state "We act with integrity". 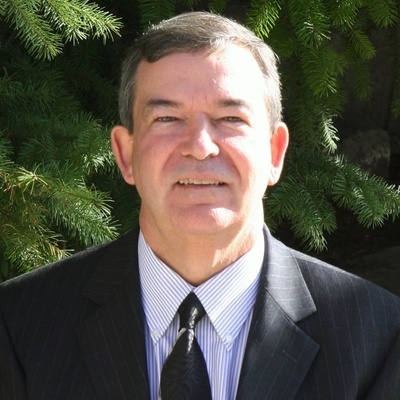 Everything seemed to be working according to plan until Mr. English contacted forcibly retired BC lawyer John Carten Editor of the www.waterwarcrimes.com who helped Mr. English by getting Joe Adam to set up a the Blog at http://cuabcimc.blogspot.ca that blew the whistle on BCIMC corruption. 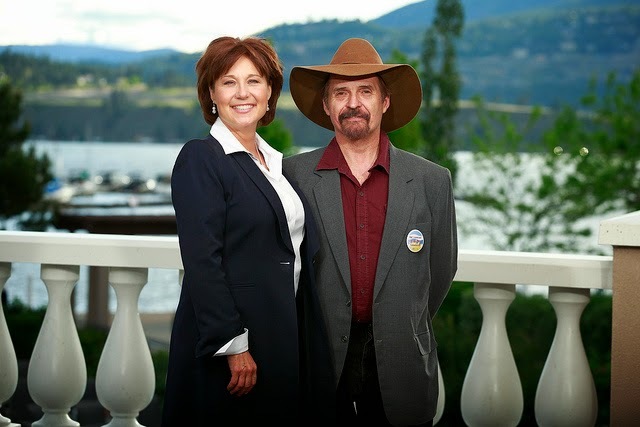 Mr. Carten advised Mr. English to join the BC Liberal Party and go to the BC Liberal Party convention in Kelowna in 2014 where Jack English met Christy Clark (shown in photo with Jack) and shortly afterwards David Lebeter was exiled up north to the Site C Dam. Charles Ried was fired or discontinued. 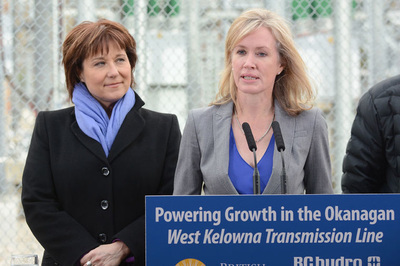 Doug Pearce the CEO of BCIMC, who had announced he was quitting immediately after the blog was set up finally quit or was fired completely, Dan Doyle left the Premier's office and politics and Premier Clark installed her pal Jessica McDonald (shown in photo with Christy) as CEO of BC Hydro. But for some unexplained reason, Premier Clark and her colleagues have not responded to invitations to open discussions to compensate the English family for the harm public servants inflicted on them in order to steal their property. Since 2010 BC Hydro has assisted BCIMC in committing criminal offences to acquire the resort property by force and deception at fire sale prices because, if BC Hydro had paid the English’s the money it owed them and BC Hydro had rebuilt the bridge its employees destroyed, as they promised and are legally obligated to do, Mr. English would have been able to pay out the outstanding mortgage and BCIMC and its 100% owned subsidiary, Parkbridge, would never have been able to take the English’s Resort from them against their will (as they had refused to sell to BCIMC) in a rigged foreclosure case with two bought off lawyers and two bought off appraisers leaving Mr. English and his two young children homeless and in total poverty! So, in this way, the public servants at BC Hydro assisted their pension plan BCIMC to screw over a private family operating a free enterprise private business and steal that family's property and business against their will for pennies on the dollar. But, the BC Hydro Code of Conduct states "We act with integrity". It was a classic “smash and grab” criminal home invasion and gangster “burn them out and steal their land” terrorist operation carried out by the public servants in British Columbia including public servants at BC Hydro! So, the Editors and the reader must ask the question, what does it mean when the BC Hydro Code of Conduct states "We act with integrity". And, to assist the reader we went online and looked up various definitions of integrity which we have reproduced below but we can't find anything that close to how BC Hydro has acted in its dealings with the English family and their resort business and property.